Our 4 Bedroom 3 Bathroom Executive Luxury Florida Hills Villa with 2 pools, Hot Tub, Games area, High Speed Wireless Internet Access and free International Phone Calls is only a 10 minute drive from Disney, and 2 minutes from the attraction packed Highway 192, where you will find a large variety of shops, Restaurants and Entertainment. 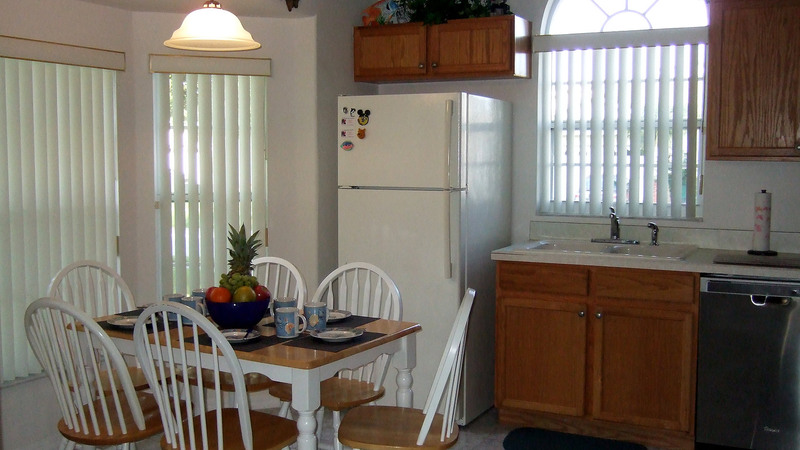 It is fully Air conditioned and superbly furnished for the occupancy of up to 9 people. 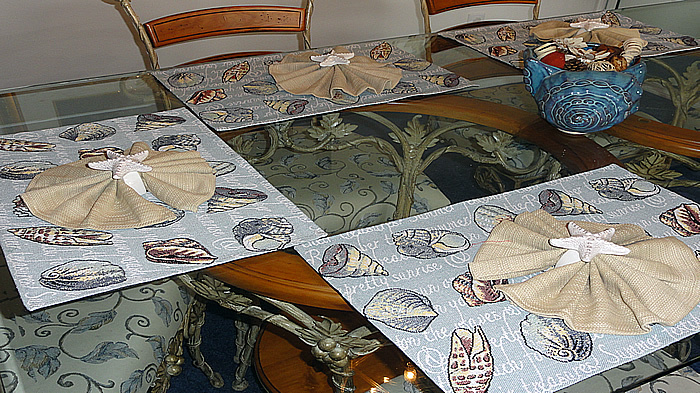 We aim to provide a quality villa with quality furnishings with our guests receiving a quality service from ourselves and our management company. The large kitchen with breakfast table and 6 chairs is fully equipped to a high standard which includes the following: cooker, large fridge,freezer with ice-maker, microwave, dishwasher, utensils, crockery, toaster and coffee maker. 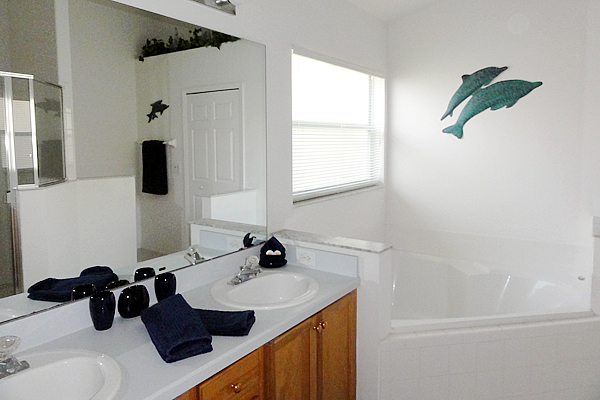 The large washer and dryer are located in the double garage. 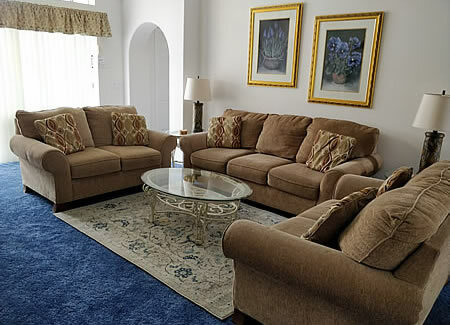 The lounge with ceiling fan and 3 comfortable settees enable you to relax and unwind. A Large LCD HD Television connected to HD and Digital Cable Channels including UK premier Football games, Hi-Fi system with Ipod docking, DVD player with a selection of DVD's, books and games for all the family are provided for your use. 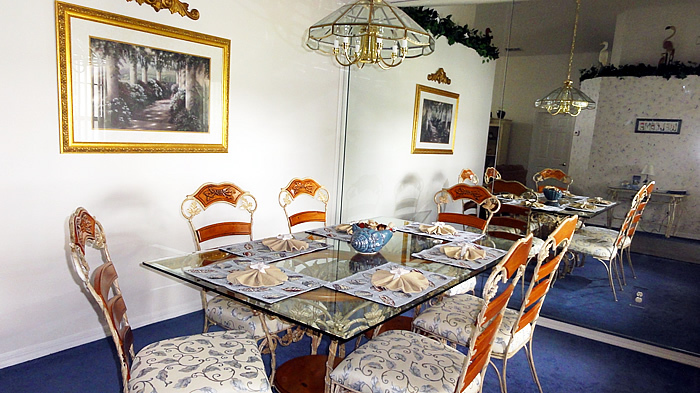 The dining room with large mirrored wall enhances the wrought iron glassed topped table and wrought iron chairs. Bedroom 1 is the first Master bedroom with King-Sized bed, 32" LED HDTV connected to digital and HD cable channels, Telephone, Ceiling Fan and Large En-suite with twin vanity unit, twin corner bath, Toilet and large walk in shower cubicle. 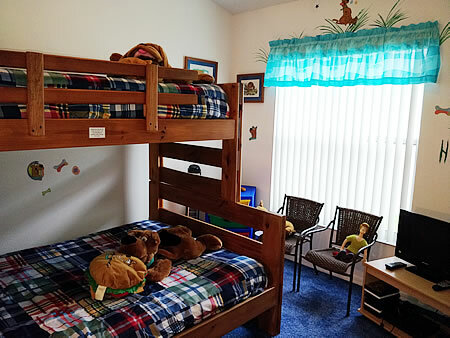 Bedroom 3 is a children’s Scooby Doo themed room, which has a double bed with single bunk above, PS2Games Console with games and a 19” LED Television with DVD player connected to cable channels. A fold away single bed is provided. 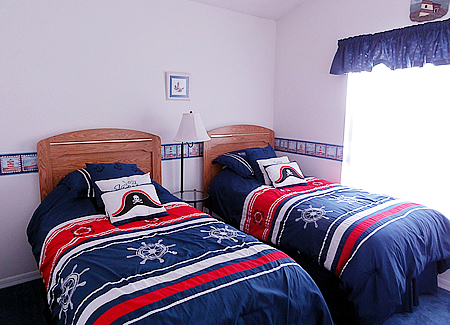 Bedroom 4 is a nautical themed twin bedroom with ceiling fan with lights and a 24" LED Television with DVD player connected to cable channels. 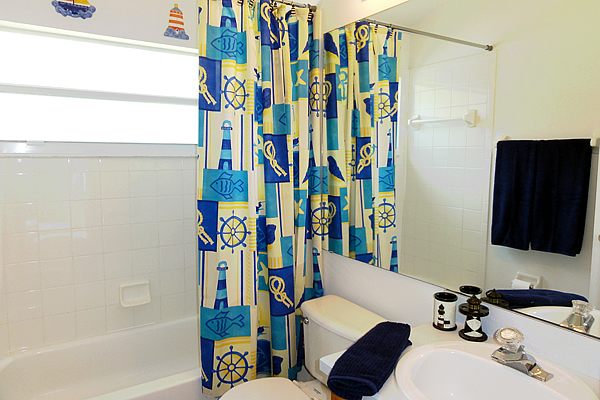 3rd Bathroom has Toilet, bath with shower over and a vanity unit. 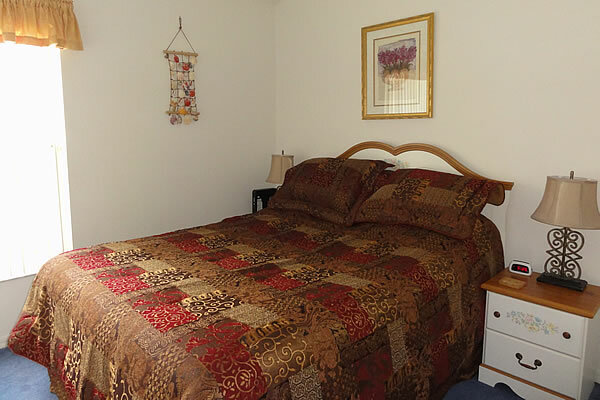 All bedrooms have large walk in closets and drawer units. 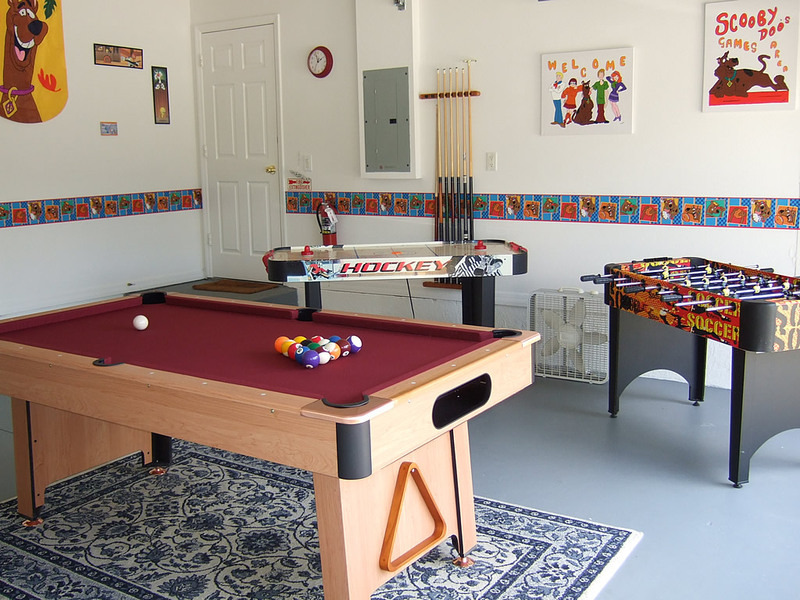 The Scooby Doo Games Area has a Pool Table, Table Football, Air Hockey and Electronic Darts Board. We also provide 3 sets of golf clubs and 4 tennis racquets for the guests use. The large patio area adjoins the private Gas heated 26’ x 13’ swimming pool and for the comfort of our younger guests there is a separate children’s pool. 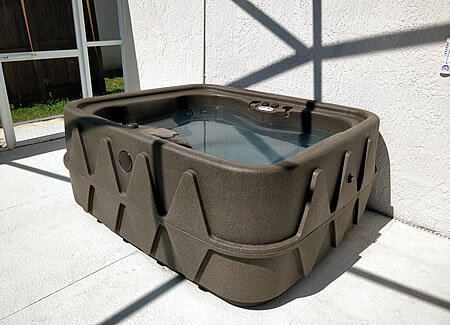 The Hot Tub seats 4 people with multi-level jet placement. It is heated 24 hours a day unlike most in ground spa's / Jacuzzi. 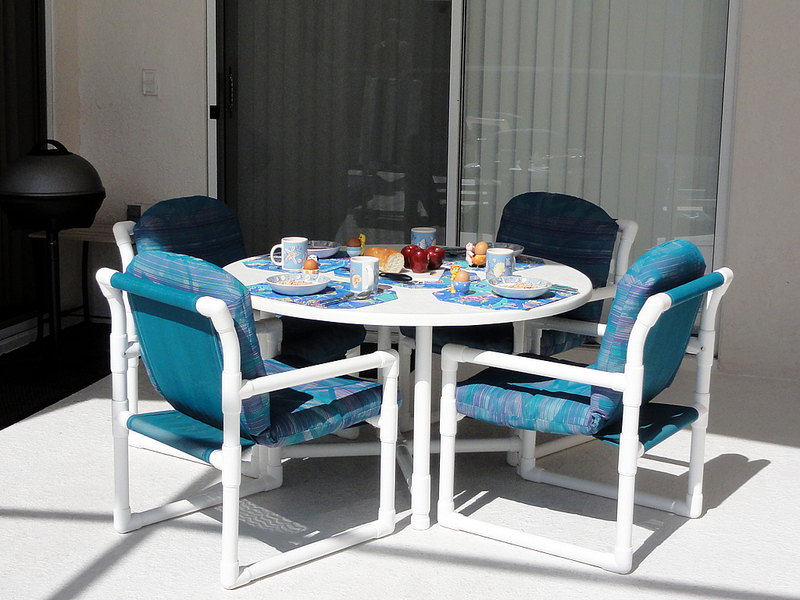 We also provide quality patio furniture including table and chairs, recling chairs, loungers and foot stools. The villa is located on the up market development of Indian Point ½ mile from Highway 192 where you will find many varieties of restaurants shops and attractions. Most major attractions are within a 25-minute drive. 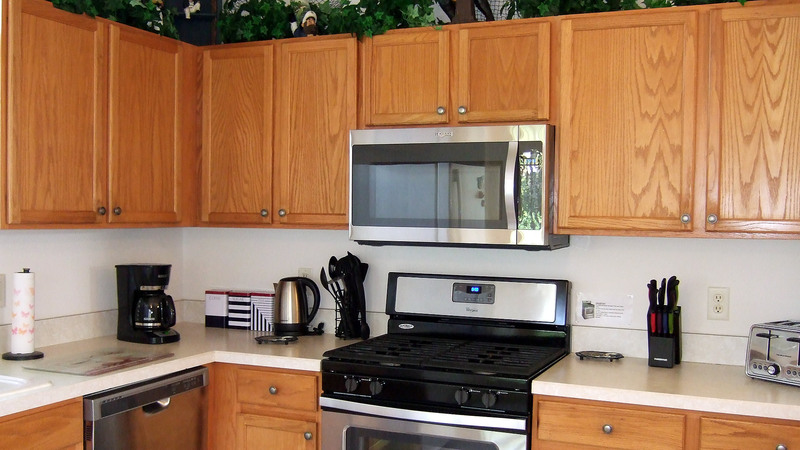 A full monitorred alarm system, smoke detectors and safe are installed for your peace of mind. 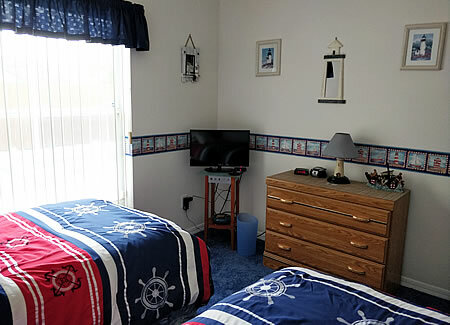 A few of the items included in our villa at FREE of Charge are: cot, bedding, high chair, baby monitor(upon request), hair dryers, 3 sets of golf clubs, pool and hot tub heating, Wi-Fi Internet Access, International and National Telephone Calls, Safe and a Monitorred Alarm System. Our Property has a monitorred alarm fitted. 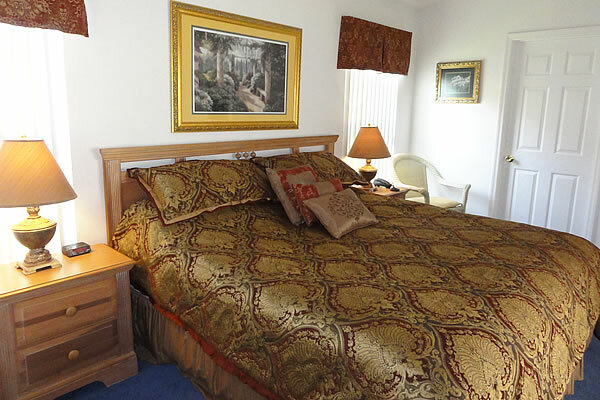 Guests are required to set the alarm each time they vacate the property. The Prices are Per Week. 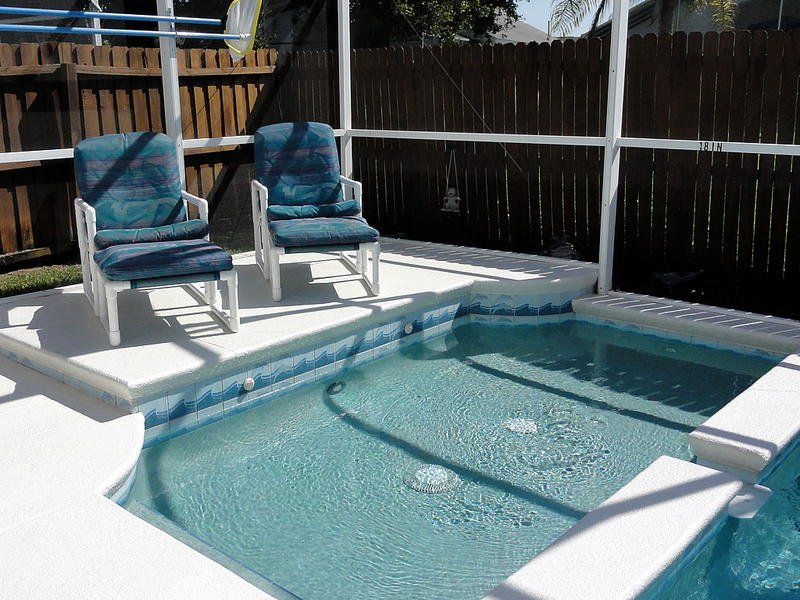 Pool Heating, Hot Tub Heating and Tax are included. Bookings of less than 7 nights incur an end of stay cleaning charge of £50 / US$90. 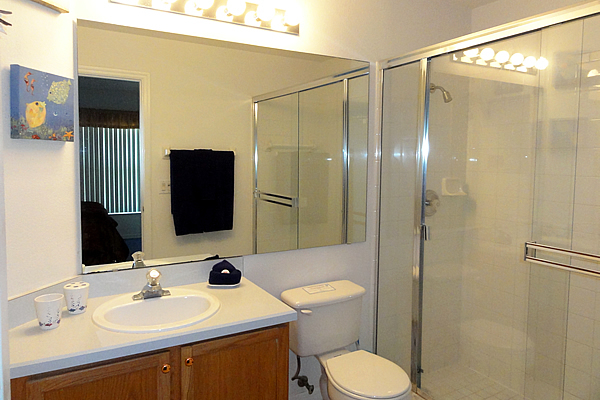 Was the listing description accurate regarding the location, layout, amenities, etc? Yes it was. Was the property clean and well-maintained? Yes it was. Did the owner or manager provide good customer service? Yes they did. Would you recommend this property to a friend or relative? I already have and will continue to recommend it. What activities, attractions and restaurants did you enjoy? The Disney parks, Cicis pizza, helicopter ride, and outlet stores. Indian Point, Florida is an up-market development just a half-mile from the attraction packed highway 192 and roughly just 10 - 15 minutes from the magic of Disney World, Universal Studios, Wet N Wild, SeaWorld and has Luxury Series vacation rental properties in the closest possible development to . Located 1 mile south of the I-192 West. Only a few miles from the I-4. Why chose Indian Pointe ? The builders, Greater Homes, have a reputation for high quality homes. Indian Creek is an ideal location, central to all the Orlando magic. These homes are private homes in a single family neighborhood. 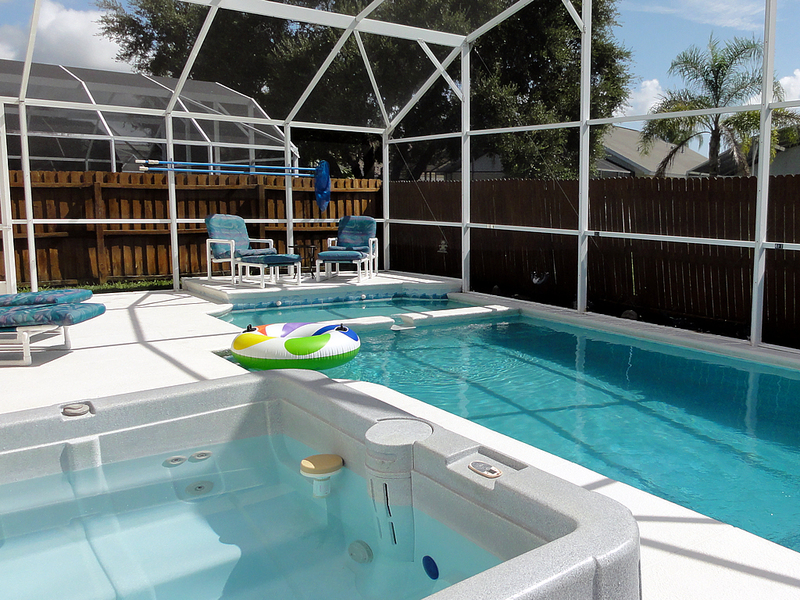 Their value price point offers all of the conveniences of a vacation home. These 3 to 5 bedroom homes feature private pools and spas, rather than a hotel room for a very similar price. 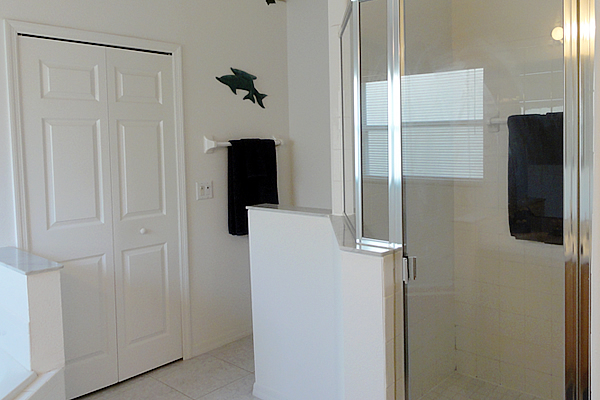 The convenience of the location alone is an added bonus for any home. All of the villas within the group have air conditioning and private pools. 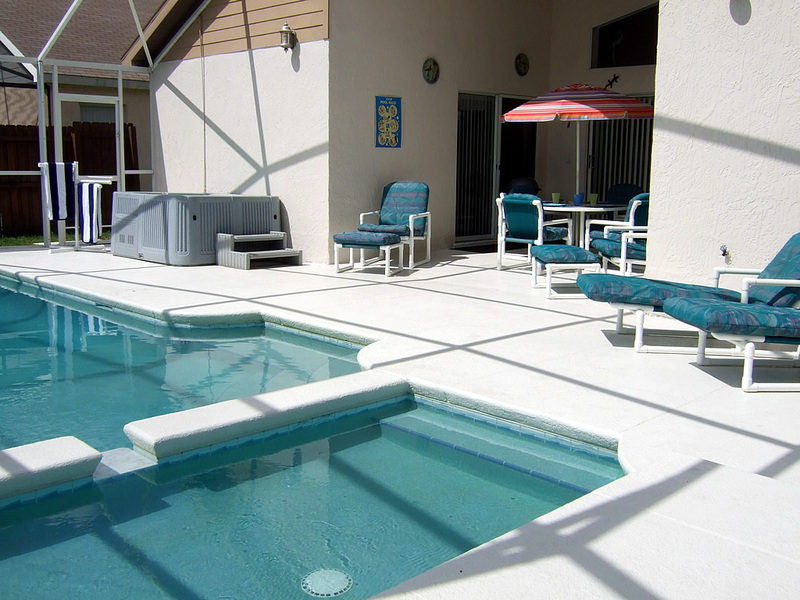 In line with the latest Florida laws all villas have alarmed exits leading to the pools for the safety of young guests. Although close to everything the estate provides a quiet and secluded place to relax and recover from the parks and shopping. 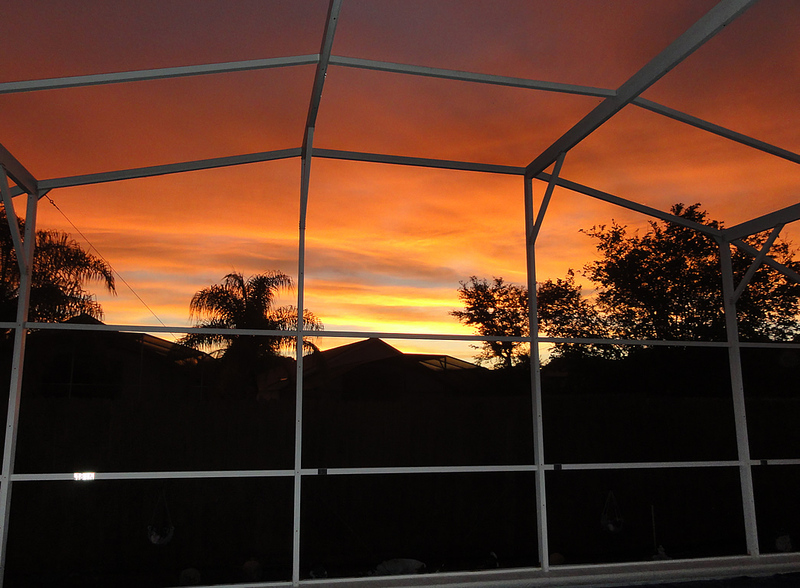 Orlando4Villas opinion, Indian Pointe Kissimmee offers much for the family coming on vacation to the Orlando / Kissimmee area. 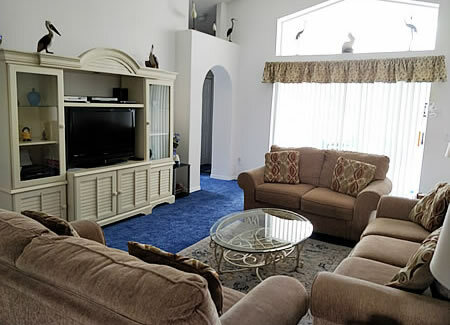 The community Indian pointe is located perfectly in the middle of all the action Orlando could possible give you with it being minutes away from Walt Disney World main gates to just seconds away from shops and resturantes. 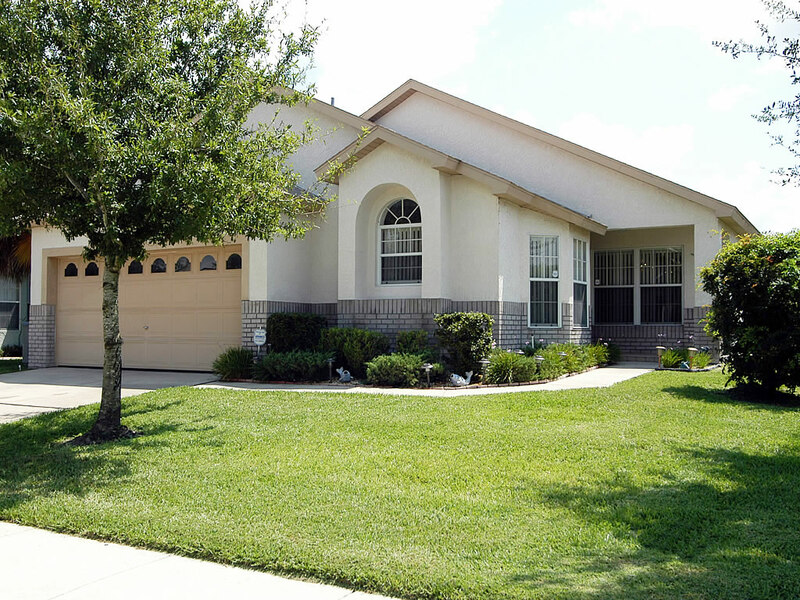 Orlando4Villas has the large selection of vacataion homes available for rent in Indian Pointe.